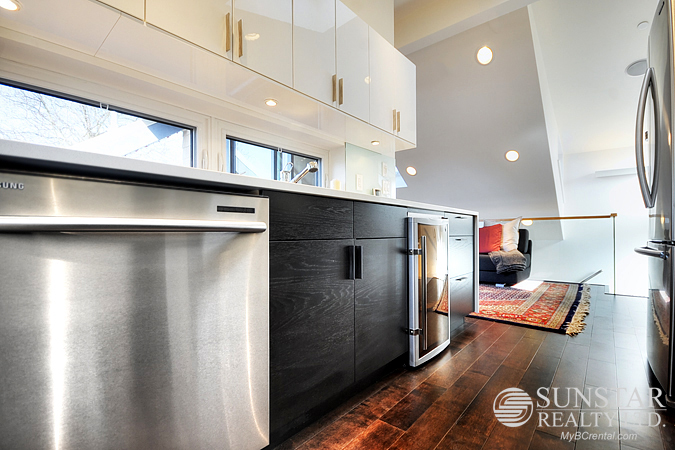 Dunbar New & Luxurious EcoFriendly Furnished Laneway House - $2850 — Lynn Swanson At a glance guide to all currently available fully furnished properties managed or represented by Sunstar Realty Ltd.
Pets: small dog okay with owners approval. Included items:fully furnished from cooking utensils, pots and pans, dishes, and cutlery, linens and basic bath essentials to plasma TVs; stainless steel wine cooler, fridge, stove, oven, dishwasher, microwave, and washer/dryer; also includes, telephone, cable, and high speed internet. 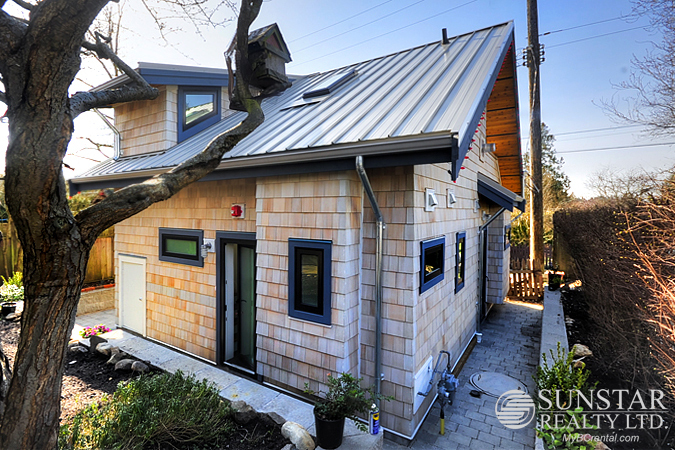 Not included: long distance telephone, utilities,additional cleaning & move-out clean. 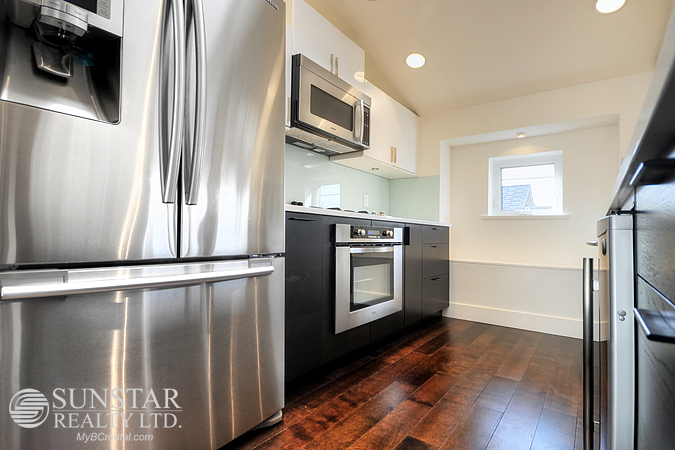 LOCATION: Prestigious Dunbar neighbourhood West of Dunbar on W.30th Ave one block walk from Memorial West Park. 4 blocks away from Pacific Spirit Park, this is a great location for biking, running and walking. Grocery store across the street; Starbucks ½ block away. Dunbar Community Centre, a variety of local shops and restaurants, Market Place IGA and Stongs Market are all within close walking distance. Several golf courses and UBC are within 10 minutes drive. On transit line - Bus is available across the street, one bus to downtown or to Canada line. 3 blocks walk to St. George's School. Crofton House and West Point Grey Academy are both within 5 minutes driving distance, and a very short commute to UBC. 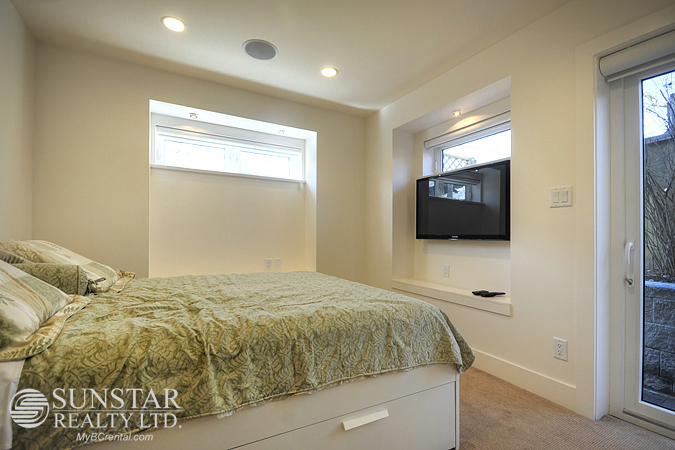 FEATURES: This eco-friendly, 2 levels, 1 bedroom, 1 bathroom, stand alone custom designed laneway house features clean, minimalist design with luxurious materials and fixtures used throughout such as Euro "Tilt and Turn" doors, state of the art sound system, skylights, and heated floors. The exterior is West Coast craftsman style with cedar sidings and classic roof lines. Inside is black and white with lots of lights coming in from large triangular and rectangular windows in all directions. The ground floor foyer has dark slate tiled floors. 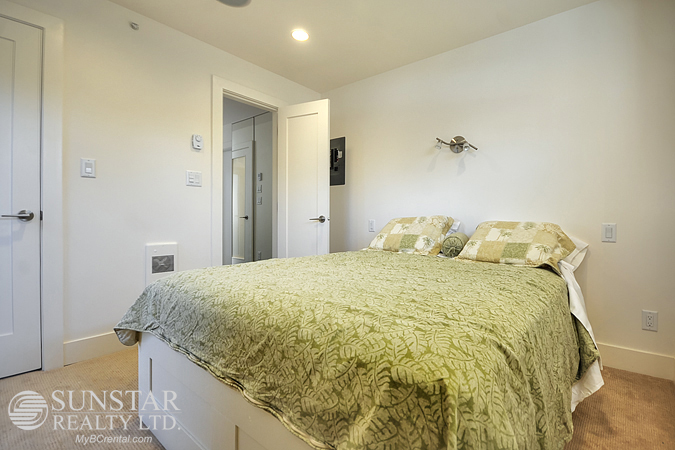 Down the hall is the private comfy bedroom with black out blinds, plasma TV and separate entrance. Bathroom uses luxurious modern fixtures. Insuite stacked washer dryer is in the hallway. Modern staircase to upstairs features wooden steps, pocket lights on the sides, and glass panels. 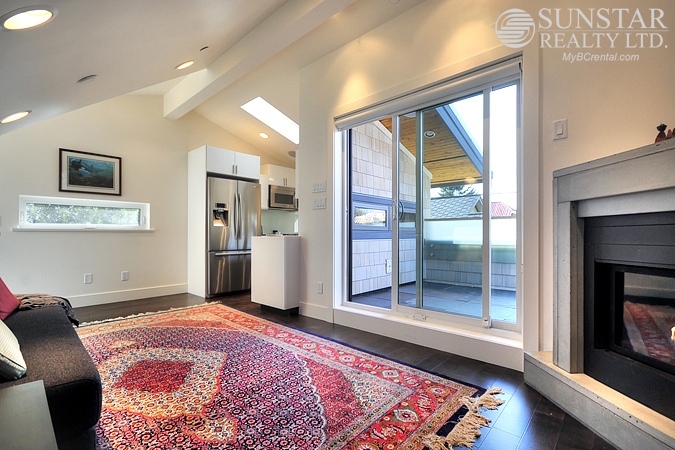 Top floor living area has plasma TV, Persian carpets, gas fireplace, and a modern sofa that converts easily to a queen size bed for overnight guests. Open kitchen comes with stone countertops, stainless steel appliances including wine cooler, refrigerator, dishwasher, microwave, gas cooktop, convection oven. Large private deck with slate floors nad glass panels faces west with a view to the trees of Pacific Spirit Park. Perfect for single professionals. Maximum two occupants. We do not charge prospective tenants any handling fees, application fees or processing fees. Payments from all major credit cards and direct debit accepted (subject to transaction fees charged by Rentmoola.